Great video of you and Jayce. You did what all dads should do – enjoy the child’s day / moment!! You have it recorded and it will last forever !!! Appreciate the feedback as it was an exciting day. Jayce talks about it frequently and is eager to get back after it once we put this winter behind us. 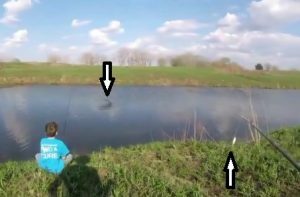 Cool what those fish can do to anglers of all ages and I am thankful to have the easy to do video aspect available to preserve the memories.